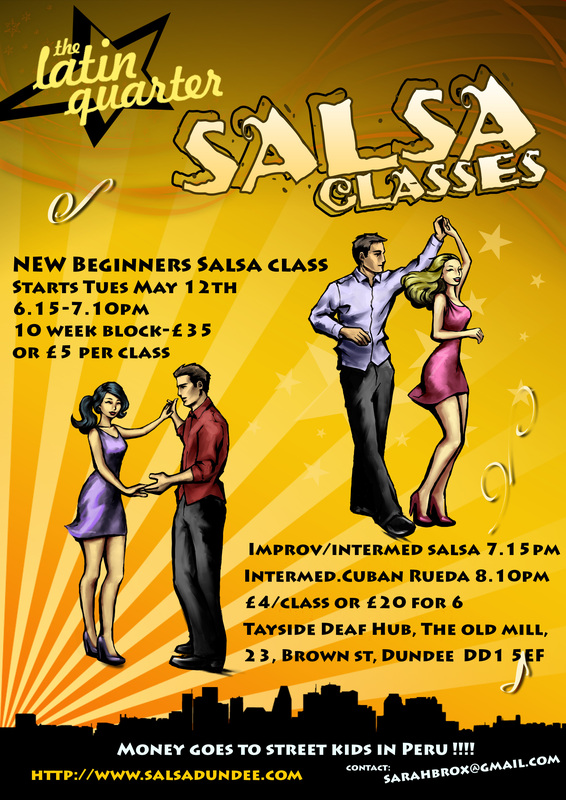 NEW Beginners cross body style salsa class – 10 week progressive class – starting Tuesday May 12th, £5 per class or £35 for 10 week pass. Can join class in the first 2 weeks only. Time : 6.15-7.10pm, at The Deaf Hub, Old Mill, 23, Brown St, Dundee. No partner necessary, anyone welcome. Email sarahbrox@gmail.com for places or more info. Please pass the word. All money raised for Azul Wasi project in Peru. Directions on class page on www.salsadundee.com site.